Searching for your next sedan? There are plenty of options on the market for you to choose from, but which one is right for you? 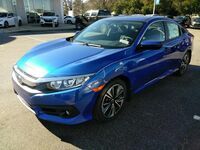 In this model research page, we take a look at two popular sedans, the 2019 Honda Civic and the 2019 Kia Forte. 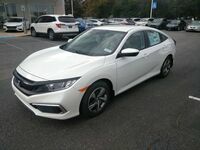 Both of these models have plenty to offer, but drivers who are looking for a vehicle with more available driving features would be better off with the Honda Civic. 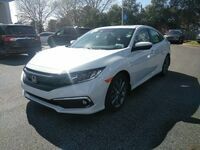 Both the Civic and the Forte are equipped with a 2.0-liter 4-cylinder engine but the 2019 Civic provides 158 horsepower compared to the 2019 Forte’s 147 horsepower. 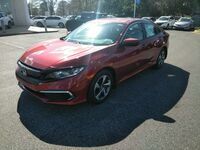 Along with offering more power, the 2019 Honda Civic also offers more available drive features such as the standard Eco Assist™ drive mode and the available Adaptive Cruise Control feature. 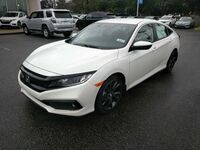 Continue reading to view the comparison of these two sedans and to learn more about the 2019 Honda Civic or click on the button below to view our current Civic inventory here at Townsend Honda! 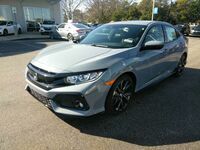 Along with the impressive power of the 2.0-liter standard engine, there is also a turbocharged engine option for the 2019 Honda Civic that provides 174 horsepower. This engine is standard on EX trim levels and above. 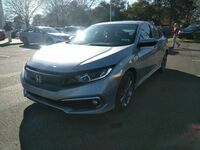 The CVT (continuously variable transmission) allows the Civic to maintain its power while not hurting the fuel economy. Adaptive Cruise Control is just one of the features included in the Honda Sensing® suite. Other features in this suite include the Collison Mitigation Braking System™ (CMBS™), Road Departure Mitigation System (RDM) and the Lane Keeping Assist System (LKAS). Honda Sensing® is now standard on the Civic giving drivers the extra assistance they want while they are behind the wheel. 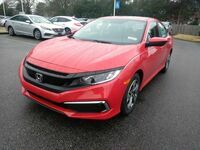 The 2019 Honda Civic sedan has plenty more to offer. Click on the button below to receive more information!